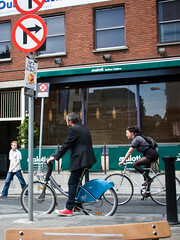 Like I've said, what Dublin is doing to encourage Citizen Cyclists to ride is amazing. 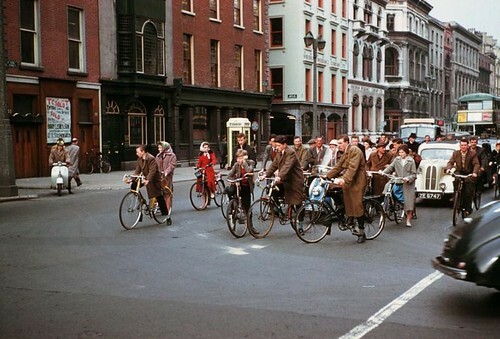 Dublin was once the third great cycling city in Europe, after Copenhagen and Amsterdam, back in the day. As we can see here in this shot from 1961. 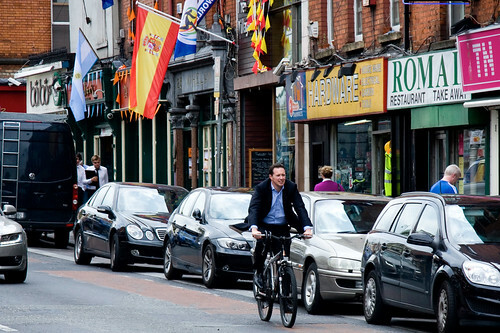 By all accounts, Dublin is returning to the mainstream cycling fold. 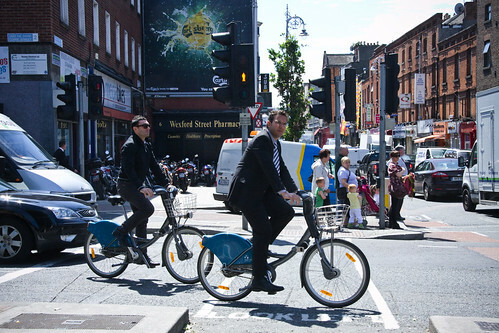 Here's a series of Gentlemen Cyclists in Dublin. Suits abound, ladies. 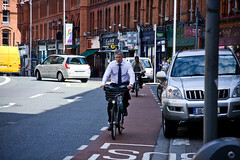 more cyclist in the street less pollution from the auto. 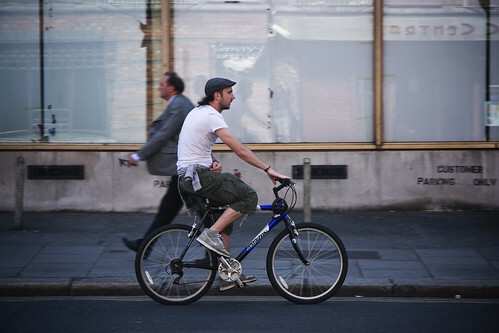 I want to persuade the people of my town that the slow bike movement is so much stylish and sensible than lycra or cars. Please help me! 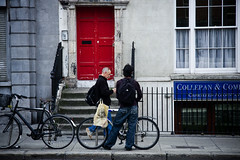 my blogspot is www.thawinedarksea.blogspot.com and if you venture into the tag cloud, look under 'pink malvern star' or 'repco contessa ladies bike' for proof of slow bike street cred. Thanks, Sarah. 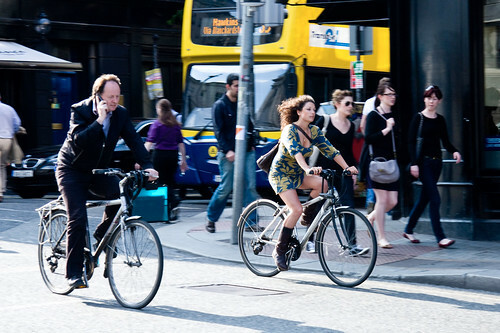 You make me want to take my cycle out of the garage and go to everywhere in it. Thanks for giving a new meaning to cycling! 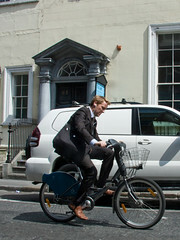 I took some shots of Dublin cyclists some years ago during the Velo-City conference.